Though it might seem surprising, there are actually a decent number of couples from the Bachelor franchise who are still together even after their show ended. I've been watching The Bachelor, The Bachelorette, and all the various iterations (like Bachelor in Paradise and Bachelor Pad) for longer than I care to admit, and because of that, I was all but convinced that love isn't real. Because of the countless couple who broke up after the show ended, to me, the show seemed to prove that there is no such thing as a fairytale, and none of us truly here for the right reasons. But that was before I looked at all the couples who stayed together after the cameras stopped rolling. While the odds are still pretty low of a lasting match coming out of a six-week run of reality television, apparently it can happen, and there's proof! Right here in front of our lovesick little noses. In 25 seasons total — we're talking 19 seasons of The Bachelor, 11 seasons of The Bachelorette, three seasons of Bachelor Pad, and two seasons of Bachelor In Paradise — eight miraculous couples have emerged, to be presented to you now in various stages of engagement, wedded bliss, or even parenthood. So it can be done, everyone. Let's see where these seemingly happy couples are now. Trista Rehn was the runner-up on Season 1 of The Bachelor, and was given her own shot at love with the gender-reversed Bachelorette. She selected Ryan Sutter, and after getting engaged during the finale, the two were married on Dec. 6, 2003 and renewed their vows just over ten years later on January 2014. They have two children, Maxwell Alston (b. 2007) and Blakesley Grace (b. 2009). Although they've made appearances as a couple on shows like Marriage Bootcamp: Reality Stars and Who Wants To Be A Millionaire, they mostly stay out of the spotlight in Eagle County, Colorado. Jason Mesnick got so far on Season 4 of The Bachelorette that he actually ended up proposing to DeAnna Pappas before being sent home, and his own season of The Bachelor was no less dramatic. He proposed to Melissa Rycroft in the finale, only to change his mind at After The Final Rose and ask runner-up Molly Malaney to give him another chance instead. She accepted, he proposed a few months later, in October 2009, and the two were married on Feb. 27, 2010. In addition to Ty, Mesnick's son from his previous marriage, the two are also parents to daughter Riley Anne, born Mar. 14, 2013. The family currently lives in Kirkland, Washington. After being rejected by Brad Womack on Season 15 of The Bachelor, Ashley Hebert became the Bachelorette herself, selecting J.P. Rosenbaum from a field of 25 men. They got engaged during the finale, married in a televised wedding on Dec. 1, 2012, and welcomed their first child, a son named Fordham Rhys, on Sep. 30, 2014. The family currently resides in Miami, Florida. After getting sent home by Emily Maynard during The Bachelorette's Season 8, Sean Lowe became the first Bachelor ever to marry his final choice (because remember, Jason Mesnick pulled that switcheroo), after choosing Catherine Giuidice. The two got engaged during the finale, and married over a year later, on Jan. 26, 2014. Since their televised wedding, both Lowe and Giudice have been active in the media — Lowe was a contestant on Dancing With The Stars, and the pair has appeared as a couple on Celebrity Family Feud, Celebrity Wife Swap, Marriage Boot Camp, and Who Wants To Be A Millionaire. They live in Dallas, Texas. 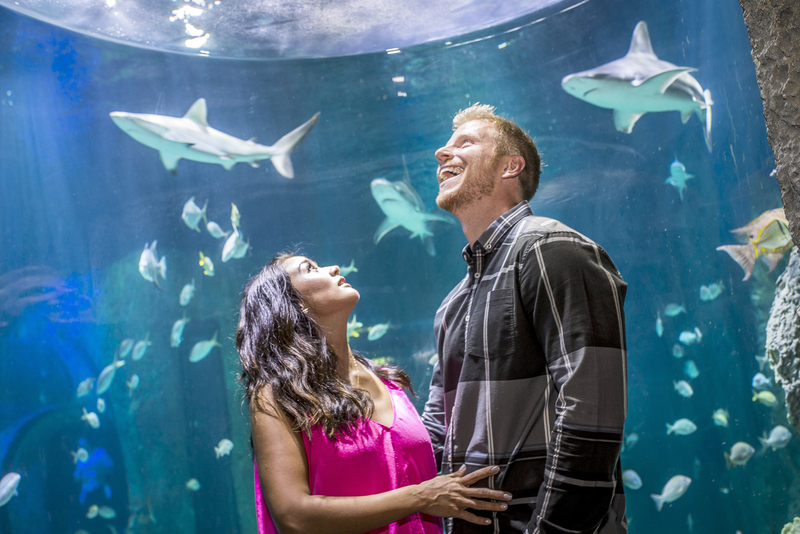 Desiree Hartsock was sent home by our friend Sean Lowe who's listed just above, here, and things weren't looking good after the front-runner on her own season, Brooks Forester, walked off the show in Week 9. But she stuck it out and got engaged to Chris Siegfried, and the unlikely pairing has actually worked out! They waited a while to actually tie the knot once the finale aired, opting for an intimate, non-televised (another surprise!) ceremony on Jan. 18, 2015. Lacy Faddoul and Marcus Grodd had each been rejected from other Bachelor franchises when they met on Bachelor In Paradise Season 1 — Faddoul from Juan Pablo Galavis' season of The Bachelor, and Grodd from Andi Dorfman's season of The Bachelorette. They hit it off nearly right away on the show, staying together until the final episode, where they got engaged. Faddoul and Grodd had a televised wedding on Jun. 4, 2015 that aired with BIP's Season 2 premiere on Aug. 2, but the ceremony was later discovered to have been faked, as the two do not have a valid marriage license. But they do seem to be together still, even if they aren't married and Grodd is away at the U.S. Coast Guard, which he recently joined, so it does still count. After being rejected by Chris Soules on Season 11 of The Bachelor, Kaitlyn Bristowe beat out fellow contestant Britt Nilsson for her very own show, where Shawn Boothe was a front-runner from the very beginning. After telling him early in the season that he was "the one", Bristowe made good on her word by selecting him at the finale, and Boothe promptly proposed. And while I'm not usually one to be optimistic about Bachelor couples until they're actually married, something about these two makes me believe they're in it for the long haul. Tanner Tolbert had his time in the Bachelor spotlight on Kaitlyn Bristowe's season of The Bachelorette, and Jade Roper comes to via Chris Soules' season of The Bachelor, and they fell for each other on Season 2 of Bachelor In Paradise, where all bets are off. They spent every waking moment together from pretty early on — as many waking moments as you can have in three weeks of filming — and got engaged on the finale, with NBC hinting that they will have a televised wedding to promote next season. Harrumph. I'll believe it when I see it, Bachelor In Paradise. I've been burned before. And that's everybody who's together so far, not counting people who met through the Bachelor without actually being on a show together. Fingers crossed for you lovebirds! Hope you make it to the end.